When Laura said that to me, it was once again confirmed just how lucky I am that they chose me as their photographer. 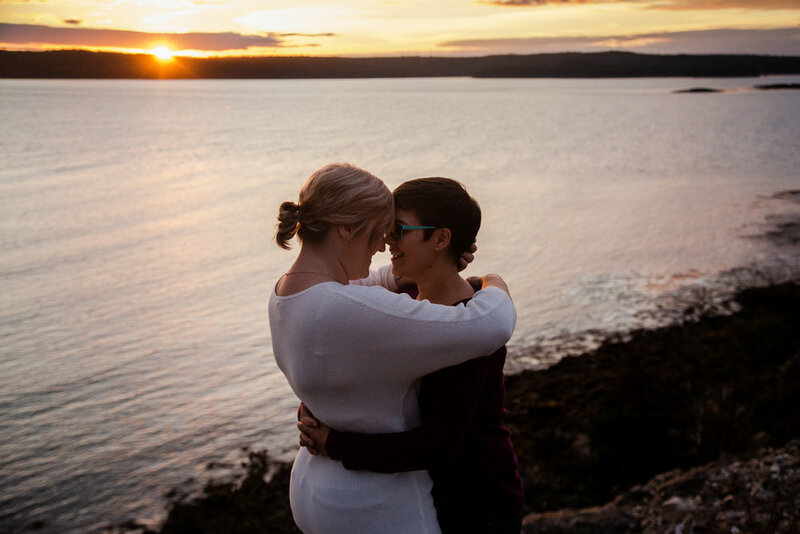 I met Sara and Laura (and Tucker) at Black Beach outside of Saint John, New Brunswick for their engagement session. 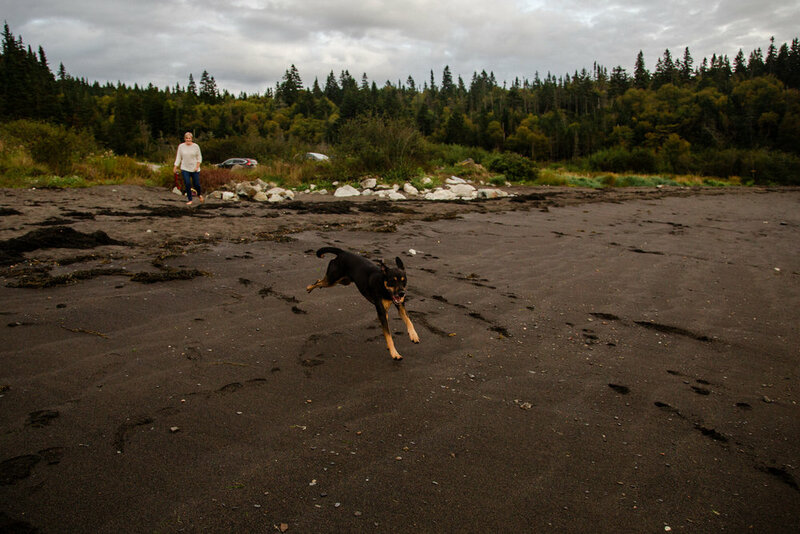 The evening was nothing short of amazing with an incredible sunset, an awesome couple and Tucker who kept us laughing.